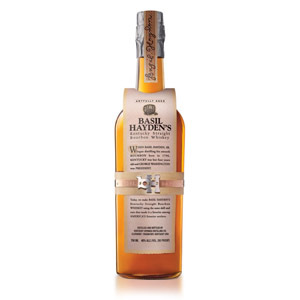 Basil Hayden is named after the famed distiller by that name who established a farm distillery in Kentucky in 1796. 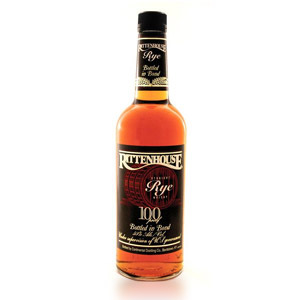 He was supposedly known for using a high-rye mash bill in his bourbon, which was unusual at the time. In 1882 his grandson built the R.B. Hayden & Company Distillery and named his bourbon “Old Grand-Dad” after Basil Hayden Sr. In 1992 the Jim Beam distillery (which now owns the brand and distills Old Grand-Dad whiskey) began producing a small-batch product named after Basil Hayden and using a high-rye mash bill. The whisky is bottled at 40% ABV and claimed an 8-year age statement until 2014, when the age statement disappeared from bottles (you all know what that means). The 750ml bottle sports an odd wood-and-metal “belt” around a distinctive loose paper label. Nose: Lemon/lime soda syrup, maraschino cherry (the bright red kind), and fruit-punch bubblegum. The aroma is VERY similar to McAfee’s Benchmark. Overall impression is light and watery, with distinct but faint fruits and not much else. Palate: Thin body. No tongue burn to speak of. “Smooth”, I suppose, but mostly this is due to lack of flavor rather than lack of harshness. A reprise of the imitation fruit flavors from the aroma, but muddled and somewhat more chemical. Finish: Short. The impression is of the exhaust that might issue from a chemical factory that manufactures imitation fruit flavor additives. A little tarry, and very slightly bitter. Vaguely unpleasant. 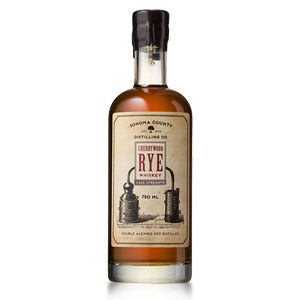 With Water: Why you would add water to a watery 40% ABV bourbon aside, the addition of a few drops yields a little dried coconut on the aroma, and a little extra vanilla sweetness on the palate. Take or leave water with this one. Overall: I suppose you could say this is easy to drink, but then the same could be said of tutti-frutti vodka mixed down to wine-cooler strength with soda water. Basil Hayden’s is suspiciously similar to McAfee’s Benchmark No. 8, right down to the fruit punch and bubblegum. So much so that I just dragged out the remains of my bottle of Benchmark to taste these side-by-side. The Hayden’s is a little sweeter and the Benchmark is a little more tart. The Hayden’s also has possibly less “rubbing alcohol” quality, but not by much. 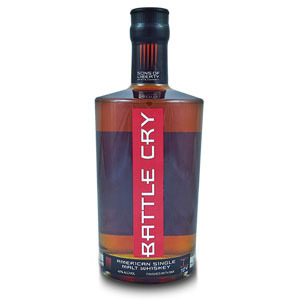 The similarities must be coincidence, however, as McAfee’s is made at Buffalo Trace and Hayden’s at Jim Beam. Either way, I see no reason to spend $29 – $40 on a bottle of Hayden’s when one could give up the pretense and get a liter of McAfee’s for $16. They perform about equally well in cocktails. Seriously, you, in the liquor store aisle on your cellphone: If you’re looking for cheap bourbon, put the Hayden’s back and look for McAfee’s or Four Roses Yellow Label. If you’re looking for good bourbon, get some Buffalo Trace, Knob Creek (also by Jim Beam), or (better) Eagle Rare 10 or Four Roses Single Barrel/Small Batch. Acquired: (750ml bottle) $37. K&L Wines, Redwood City, CA. The BH recipe is in fact Old Grand Dad but at a higher price and lower proof ( I ignore the 80p OGD). Try OGD BiB a terrific bottled in bond that when freshly opened has a slightly bitter note on the finish that fades as the bottle sits. Better yet while still available grab and enjoy OGD 114, no bitterness and a grand slam of flavor and value ( I enjoy it uncut but it works either way). Likely to be a rebranded BH at higher proof and price in the future as there is little point in the current iteration of BH. In light of this scathing review, I’m almost embarrassed to acknowledge BH as one of my favorite bourbons. I concur it is thin, but I like my bourbons thin. I find some bourbons to be overly sweet, thick and chewy (Knob Creek, anyone?) BH is most certainly not one of those bourbons. It is akin to drinking a tasty pale ale, as opposed to a heavy porter. I also give it some credit for being distinct as a result of its unique lemon pepper finish. OK – I do concede that at 40% ABV we’re getting shortchanged (lately, I find myself scoffing at any scotch whiskey bottled at 40%). And I also ashamedly have to consider whether I am being unduly influenced by what’s for sure the best looking bottle of brown liquor I’ve ever seen! Sounds like I owe it to myself and other SNs to have a blind tasting with BH against some of the aforementioned competitors and see where the chips fall. Hi DJ. Whenever I write a negative review, I’m always hesitant. On one hand, I want this blog to represent my experience with whisky, good or bad. On the other hand, for every whisky I dislike, there are thousands of people who will love it. Whisky appreciation is, by definition, a subjective thing. Sometimes my negative reviews are likely due to batch variation (which can’t be helped), or even individual “bad” bottles or miniatures (unlikely in this case). Most often, though, it’s likely just a matter of individual taste. As you said – I like my bourbons thick and chewy (although I like a good balance of sweetness), and I like my scotch thin and subtle. Finding a thin and subtle bourbon rubs me the wrong way, I suppose, and the switch in my head goes from “subtle” to “bland”. To anyone reading this – always take any reviews you read online with a grain of salt. You may love exactly that aspect of the whisky which the reviewer hates. Cheers! A fair comment (and review). Personally, I also find BH very “thin” on flavour, and fairly high on unpleasant dry solvent notes (e.g., glue) – especially on the finish. I am not a big bourbon guy generally, but am much more a fan of the Buffalo Trace/Eagle Rare/Stagg Jr juice. Like Kevin C said, the Old Granddad bonded and 114 labels show what this anemic whiskey could be. Both are loaded with flavor more akin to cinnamon spice and peanut brittle. The 114 almost sets the definition of “chewy” for me, and just needs about 1/2 tsp water to cut the ethanol heat and really shine. Thanks Andrew. I actually have a review of the 114 coming up in 2 weeks (SPOILER!). 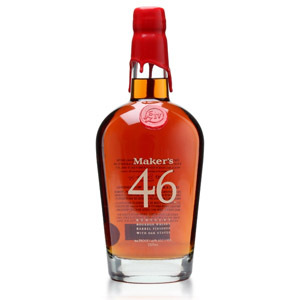 I did find it much more “bourbon”-y and robust than the BH, but I didn’t like it as much as similarly priced bourbons like Four Roses or Buffalo Trace. I found it “basic”. That said, I liked the Old Fashioneds I made with 114 much more than the ones with BH (which tasted thin and watery). I will look for the BIB if they carry it around here. Herein lies one of the most interesting things about sampling various beverages; nothing can is good or bad unless it’s compared to something else. For me, I really don’t like the overwhelming oakiness that I get from so many aged bourbons – like Elijah Craig for instance. I like scotch and I like bourbons that taste like scotch. So, for me, Basil Hayden’s “thin” taste is kind of nice. My palate doesn’t appreciate a bourbon that reminds me of chewing on a mouthful of sawdust. Eagle Rare is right on the edge of being too oaky/woody – Buffalo Trace is about right. All the Four Roses products fall into the acceptable category as well as most rye whiskeys and many of the Beam products. I tried some Old Forester 1870 and it was way too much oak. The other thing mentioned that always surprises me is I’ve had a couple of pours out of a bottle of something that is “objectionable” for some reason or another and a couple of months later when I try it again, I scratch my head and wonder why it tastes so much better! Which, of course, is another reason why tasting and sampling gets to be so much fun and a moving target as well. One of the measures of a man is the ability to admit when you are beat. A friend and I lined up BH with Elijah Craig and Angel’s Envy tonight in NY… and BH got stomped on! It really can’t compare to the rich flavors and long oak/port finishes of those tough competitors. But, damn, that BM bottle is the most creative and visually appealing thing on the shelf, for sure. Thanks for the update, DJ 🙂 I spent some time trying to figure out a way to re-purpose the metal “belt” on that bottle, to no avail. Another spot on review mr. Noob (can you really be considered a noob anymore though?). Someone left a half a bottle of this at my home once and although there’s nothing particularly offensive about it my main reaction to it was of being bland and over priced. Maybe if you like to sip on vodka and you wanted to step up to bourbon this might be a decent introduction but otherwise I can think of a lot better bourbons for the price. Thanks Peter. 🙂 I think of myself as a “forever noob”, since there’s always whisky I haven’t tried yet, and there’s always something new to learn about the processes of making, maturing, and blending whisky. Cheers! For the price point of BH ($55) here in Ohio, you do get a fancy gift box but a young whiskey. I liked Eagle Rare better than the BH but got a wierd beet aftertaste that I didn’t get with Rebel Yell. IMHO, i think Elijah Craig, Evan Williams Single Barrel and Four Roses are hard to beat in their price point. I respectfully disagree. While there are deeper and more textured bourbons that will out-flavor the BH offering… I like the subtleties and drinkability of this blend. Every drink doesn’t need to be a science experiment, sometimes a nice smooth one ice cube offering is in order. I enjoy this for what it is and not concerned about what it isn’t.